Smart devices and wireless networks have evolved rapidly but they are still beholden to more humble battery technology. Unlike some other technologies, the evolution of battery technology is linked to a proportionate rise in cost, so any developments in extending battery capacity are likely to be expensive. Happily, there are ways to extend the useable life of battery powered wireless devices by designing systems that embrace the necessary complexity needed to achieve this. Wireless system designers can use a number of innovative design approaches to low-power communications which optimise battery life. 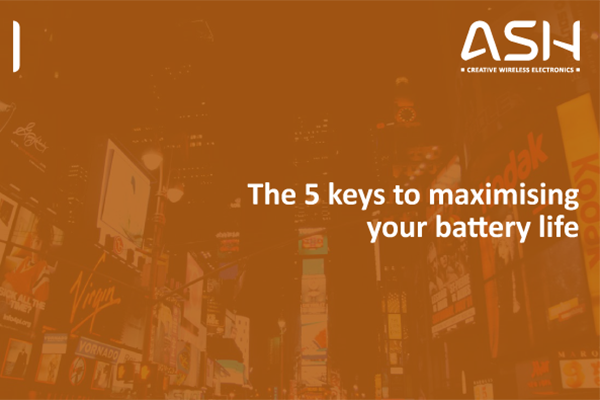 Here are our 5 design secrets to help you maximise your battery life.